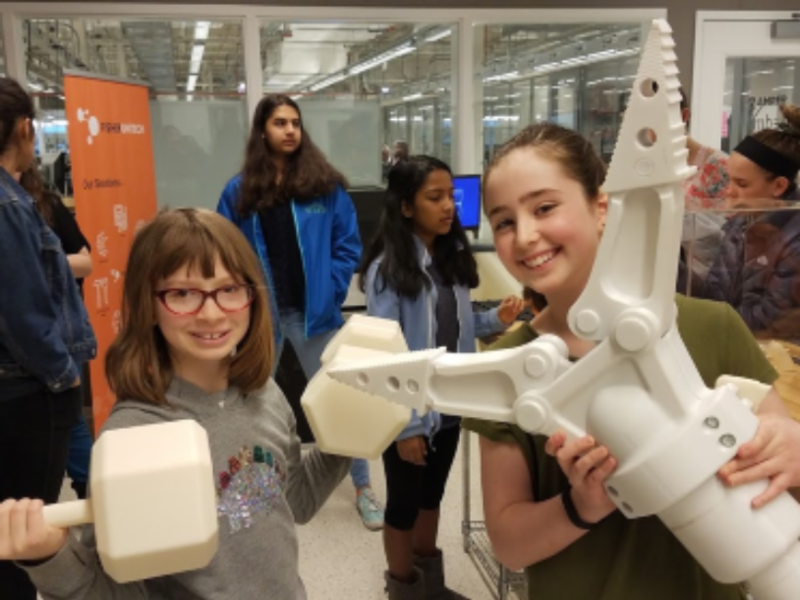 Young Women In Bio empowers today’s girls to become tomorrow’s leaders, helping them ef fect positive change through science, technology, engineering and math (STEM). Check out our YWIB brochure. We exist to ignite the curiosity and fuel the passion in girls, supporting them as they shape and change the world. 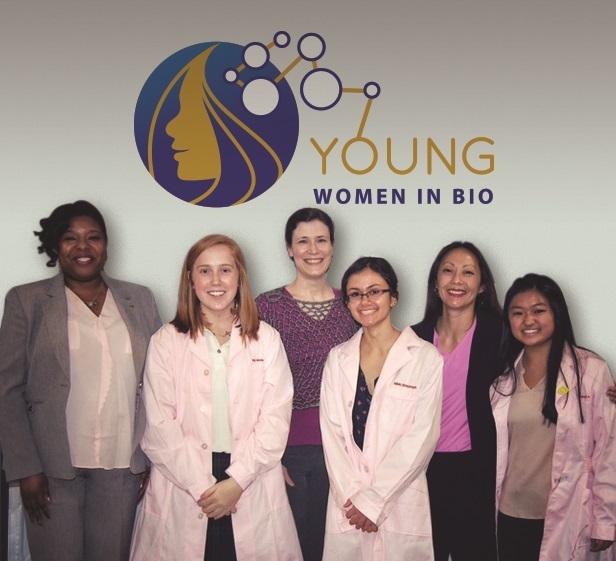 Young Women In Bio is a nonprofit organization with 13 chapters across the U.S. and Canada, we partner with leading companies, universities, hospitals, and organizations to host engaging, educational, and motivational programs. We aspire to be the “go to” resource for girls looking for successful careers in STEM. YWIB is affiliated with Women In Bio (WIB). Please see our Upcoming Events Page to see what YWIB event will be occurring in your region soon. Check out our latest E-newsletter which highlights our events in the U.S. and Canada from the 2017-18 school year. Each year, Young Women In Bio celebrates the spring season with its annual Spring Into STEM™ Festival. 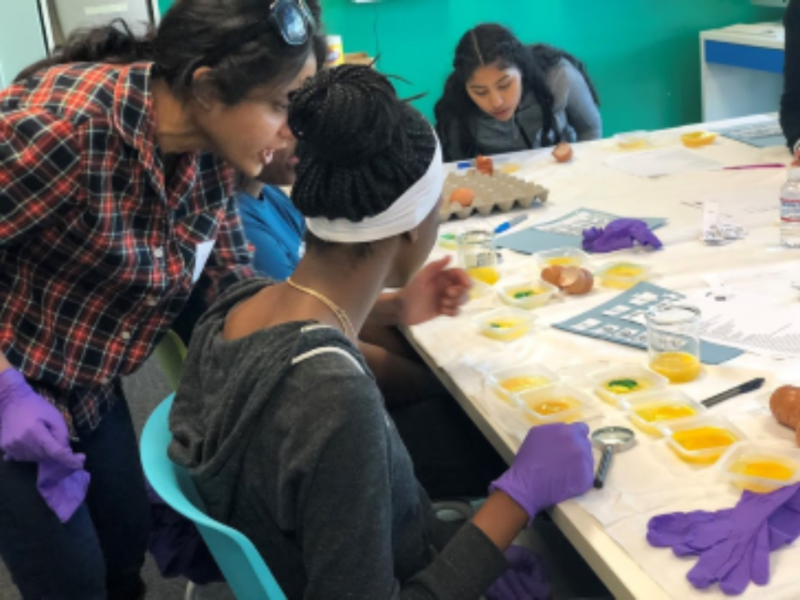 Now in its third year, participating YWIB chapters host a variety of STEM-focused events, panel discussions, and tours to present to young girls a diverse array of careers in STEM, ranging from scientific research, drug development, agricultural biotech, urban forestry to biotech entrepreneurship. 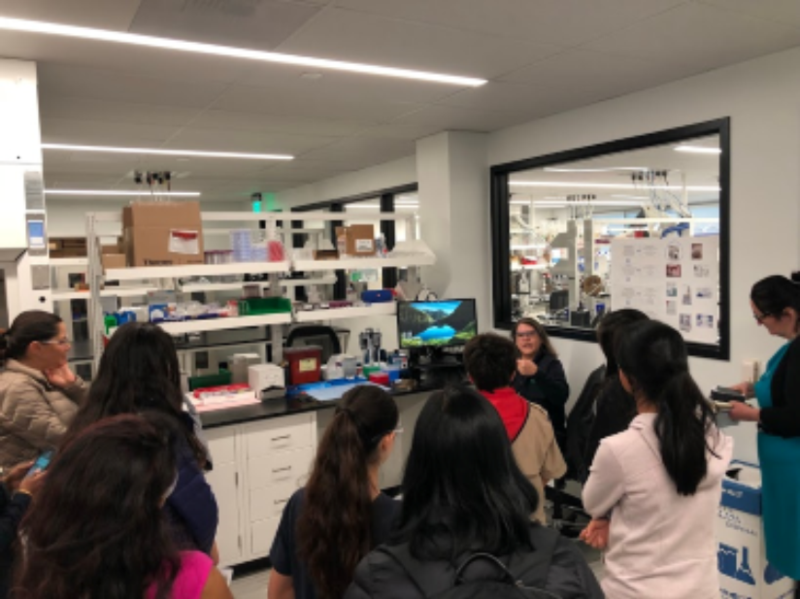 Young Women In Bio is presenting a series of events focused on “The Future of Life Sciences and Technology” to engage young girls in discussions and activities on how life sciences and technology are working together to solve health and other life sciences-related problems. Our first event was held with great success in New York on February 28, 2018, and additional events in this series will take place in other cities in 2019. To read about our New York event, please click here. grade or age range or who live in a particular geographic area. Please check our calendar of events for the future programs in your region. IMPORTANT: Registration for public events is handled through our Women in Bio online registration platform. To sign up your daughter for YWIB public events, a parent/guardian will need to first create their own profile within Women In Bio and become a temporary member. This is an interim registration step and the parent/guardian is not obligated to pay any membership fees. If you have any questions, please contact YWIB@womeninbio.org. All girls must submit a signed permission form from her parent/guardian in order to participate in an event, program or other YWIB-sponsored activity. In addition, all girls must submit a photo release form. If the parent/guardian does not wish to sign the photo release, we request that you submit to us the form notating that you do not consent to the photo release. YWIB event/program PERMISSION FORMS (English / Spanish) and PHOTO RELEASE FORMS found here. 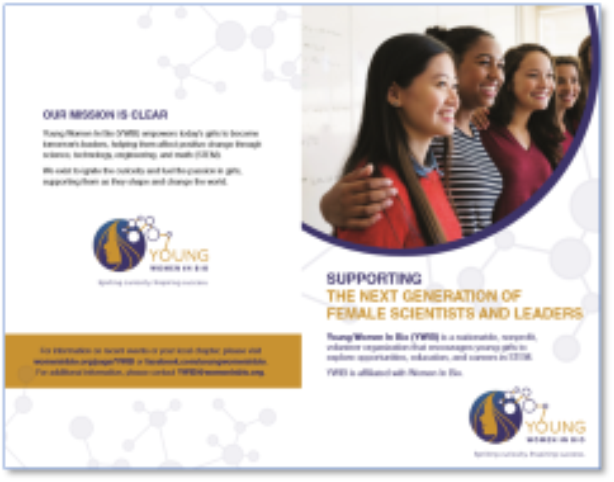 The National YWIB Committee is comprised of scientists, managers, legal professionals, and bioentrepreneurs who all share a passion for inspiring a love of STEM in girls, and who are committed to increasing the representation of girls in these disciplines. Presently, the committee is spearheading initiatives such as collaborative projects with other non-profit organizations and internships, mentorship and online programs for middle and high school girls. To learn about volunteer opportunities or support YWIB please click here or email YWIB@womeninbio.org. You can make a huge impact on young girls considering a STEM career by becoming a sponsor for our organization. Please email YWIB@womeninbio.org if you are interested and a member of our team will reach out to you. Check out the latest press coverage about YWIB below. Want to learn more about our YWIB program? Contact us at YWIB@womeninbio.org. Genome Alberta interviewed our leaders at BIO International Convention 2018 to talk about Women In Bio and our YWIB initiatives - listen to the podcast here.